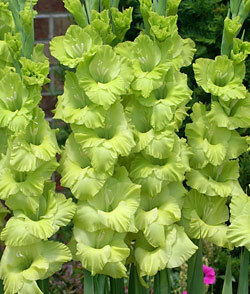 The Green Star is a true green and very popular with gardeners and florists alike. It is tall and with ruffled blooms. Very vigorous. Order now for eye catching summer blooms.